Airships v8 will introduce a new, easier modding system. 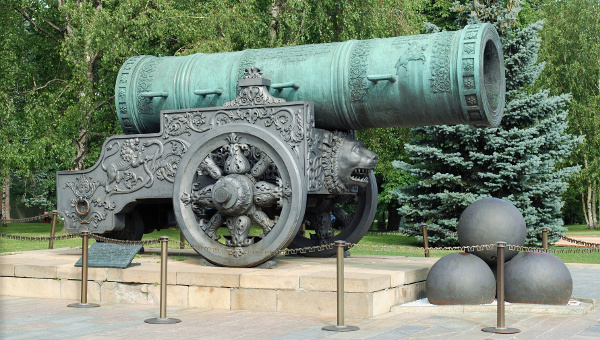 Here's how to make a giant cannon. About a year ago I did a series of blog posts on how to mod a giant cannon into Airships by editing the source code. Now, as a preview for the modding features in dev 8, here’s the same thing as a proper mod. This new modding approach has major advantages: you don’t have to know Java, you don’t need a Java development setup, the mod will stay compatible when the game updates, and fewer things can go wrong overall. So in this post I’m going to give you a tour of the structure of the mod. You can download the whole thing from here. Of course you’ll have to wait for dev 8 to come out to actually use it. "fr": "Une arme massif. 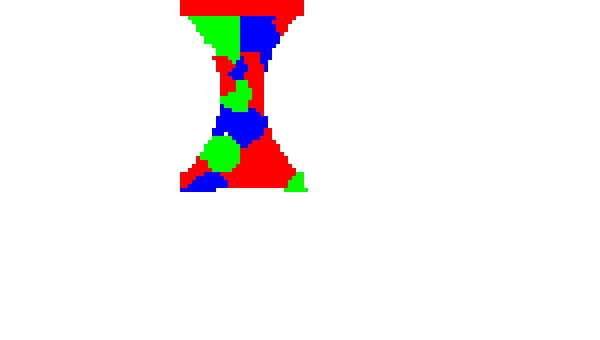 Un seul coup peut d&eacute;truire la plupart des modules.\n\npar David Stark"
logo.png is a 300x300 px title image that gets shown in the mod browser. 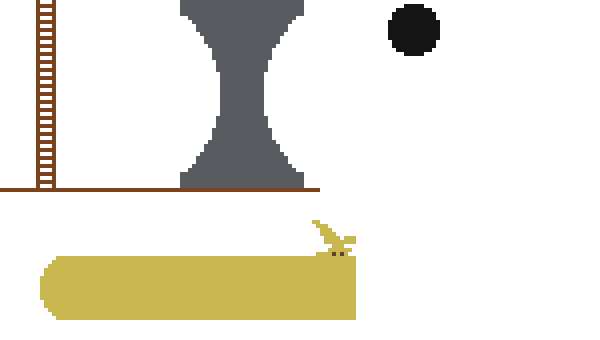 In addition, there is also impcannon_bump.png, which is the normal map for impcannon.png. Finally, there’s impcannon_frags.png, which is a fragment map, indicating what regions the module should break apart into when destroyed. 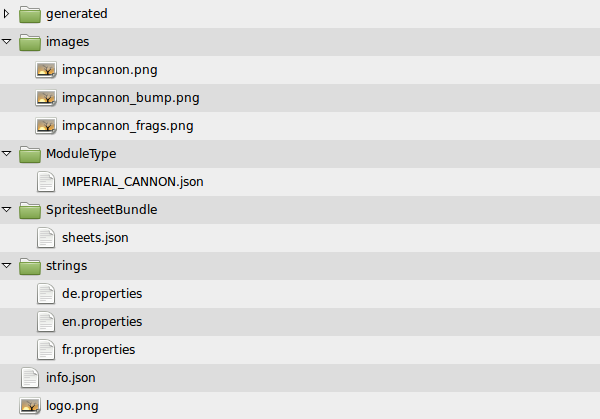 Now we get to the meat of the matter: IMPERIAL_CANNON.json in ModuleType. (Module types are named in uppercase for historical/backwards-compatibility reasons.) I won’t go over each field in detail, but you can consult the old blog post for an explanation of pretty much all of them. mod_desc_IMPERIAL_CANNON=A preposterously large weapon. A single hit will destroy most smaller modules. mod_desc_IMPERIAL_CANNON=Eine absurd grosse Waffe. Ein einzelner Treffer zerst&ouml;rt die meisten kleineren Module. mod_desc_IMPERIAL_CANNON=Une arme massif. Un seul coup peut d&eacute;truire la plupart des modules. Finally, there’s the generated directory, which contains a whole lot of images automatically derived from the three in images: the spritesheet with various lighting effects baked in, damaged versions, a blueprint version, and the individual fragments of the module. 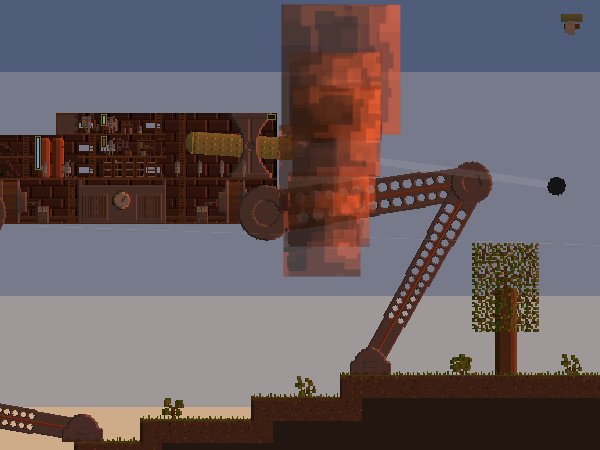 All of this gets created by the mod tooling inside Airships, by simply pressing the “Process Spritesheets” button. So there’s no need to go into that folder - just hit “Process Spritesheets” whenever you change anything graphical about your mod during development, and stuff will work. And that’s it! One slightly long JSON file for defining the module itself, some pictures and some really simple additional files to glue things together and provide text, and you have a new module available in-game. 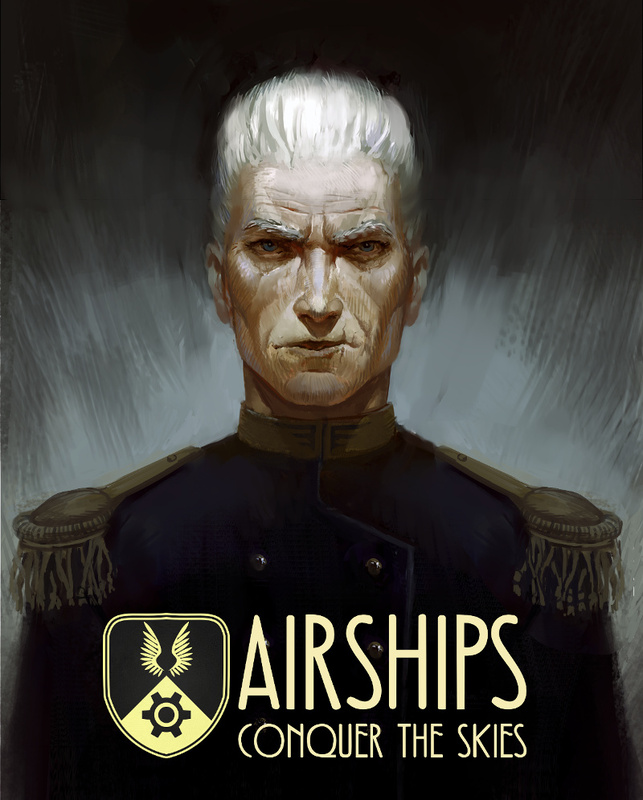 Airships: Conquer the Skies is available on Steam and itch.io. You should vote for it on IndieDB! But what about large multi part mods? Exactly, you can add however much stuff you want by just putting in new JSON files. 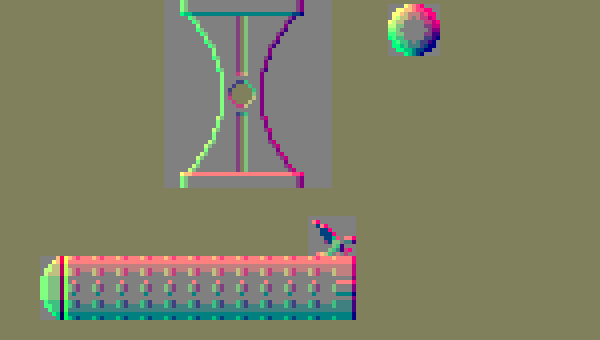 I'm making as many values as possible non-hard-coded, but there'll be limits - you can't create whole new game mechanics or GUI elements.